Are you looking for the cheapest option to replace the desired car body part for your vehicle? Perth Auto Wreckers can be your one off stop where you can buy the cheap & the top quality used parts & accessories for all big brands including Japanese, American, Korean, Holden, German or European. 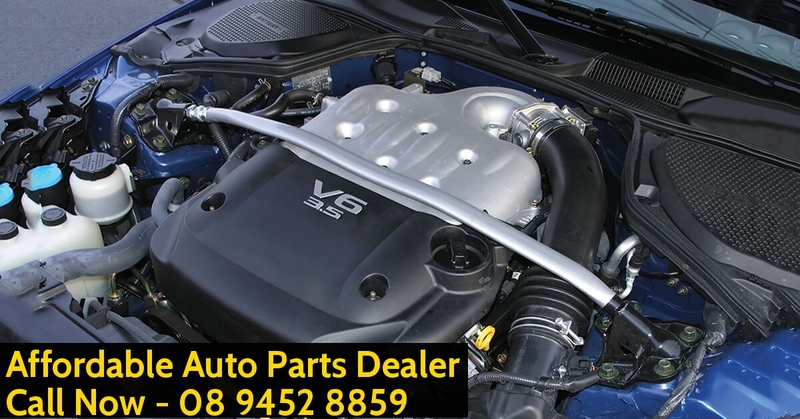 We are the largest dealer of second hand car parts and accessories in Western Australia. We are your leading source to get high on quality used spare parts and accessories in Perth, WA. Are you finding it hard to keep your vehicle running perfectly? Are you struggling to maintain its good shape? Maybe some of its parts are worn-out and need quick replacement? So, you will want good working components for it at a lower price. However, if you visit your auto manufacturer, you will only get fairly expensive brand new components. This is the common reason why most people procrastinate to fix their old vehicles. As a result, such automobiles end up being a piece of rust on their property. Luckily, the professional and friendly team at Perth Auto Dismantlers understand your problem. That’s why we sell best quality used spare parts for cars, vans, trucks, SUVs, 4WDs, Utes and more vehicles. So, when it’s time to fix your old or used wheels, simply drop a line to Perth Auto Wreckers. Use our phone number: 08 9452 8859 or fill up an inquiry form. Get more familiar with our services and find out all about Perth Auto Wreckers. So, why shop car parts from Perth Auto Wreckers? Get a standard warranty for 30 days or more. Warranties depend on the nature of the part. Give us a call to discuss further. Quick and convenient shipping service nationwide WA. Freight charges vary with your location in Western Australia and the type of the product. Not sure how to buy a second hand part? Are you having difficulty in getting the right part for your vehicle? Don’t worry! Feel free to contact us and you can trust our friendly team. They will pick the best and inexpensive second hand auto component for your wheels. You can also request for the installation and fitting of components. Our experienced and friendly team will be really pleased to put your automobile in good roadworthy condition. If you want to make order for a second hand part or accessories, please waste no more time. Just do it today by visiting us in person and check our massive salvage yard. On the other hand, you are welcome to place an order over the phone. Here is our contact number: 08 9452 8859. Our customer care crew will be happy to find your requested part and deliver it at your place straightaway. However, you will have to bear a fair shipping cost. It will depend on the weight and nature of your ordered component. At Perth Auto Wreckers we have a gigantic variety of components for every prominent brand. Whether you need reasonably priced second hand items for your Toyota, Ford, Holden, Chevrolet, Subaru or Lexus. You will not find a better service provider than us. We are the leading dealers offering absolutely irresistible deals on parts for every make and model. This includes all such renowned names like Mazda, Chrysler, BMW, Audi, Jeep, Kia, Volvo, Volkswagen, Hyundai, Mazda, Honda, Mercedes Benz, Mitsubishi, Daewoo, Suzuki, Isuzu, Daihatsu, Nissan and more. We Care for the Environment, Do you? Other than fiscal benefits, there are multiple environmental benefits of using second hand or recycled spare parts as well. We can save money as well as save our lovely green environment. Scrap metal recycling also adds to a substantial saving in greenhouse gas emissions as well. Support us to save the environment by recycling all the unwanted vehicles and we will do our best to make the Perth city ecologically rich in a near future.